In this how-to guide, learn the ways to disable tips, tricks and suggestions in Windows 10 using Settings app, registry manipulation or with Group Policy. In Windows 10, users may receive tips, tricks and suggestion as they it. For beginners, it is a very good practice and for this, Windows 10 builds are shipped with concerned settings set to On. Thus in successive use of the operating system, you’re offered different tips and tricks via Action Center. If you don’t like these tips/tricks and suggestions, you can turn them off easily in Settings app and System > Notifications & actions. Here you simply set the Get tips, tricks, and suggestions as you use Windows setting to Off. This option is available in Windows 10 V1703 (Creators Update) or later. You can also use below mentioned advanced ways to force Windows 10 to turn off this setting. 4. Finally, set the Hexadecimal base value to 1 and click OK. Close Registry Editor and reboot to make changes effective. FYI: GPO snap-in is not available in Windows 10 Home editions. If you’re on Windows 10 Home and want to use Group Policy, go here and upgrade to Pro edition. 1. 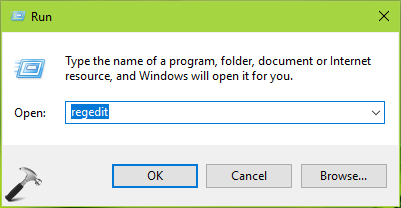 Press + R and put gpedit.msc in Run dialog box to open Local Group Policy Editor. Click OK.
4. At policy configuration window, set the status to Enabled and click Apply followed by OK. Close Group Policy editor and run gpupdate /force command to refresh Group Policy engine. For standalone multi-user machine, you can reboot to make setting alive.